Psychology is offered as an A Level at Christ's School. Students follow the AQA syllabus which enables students to develop a solid understanding of a range of psychological theories and of real world psychological issues, such as child development, aggression and schizophrenia. In Year 1, students develop a solid understanding of a range of psychological theories. In order to achieve this aim, students will question a range of hypotheses: the role of early relationships as an infant to later adult functioning; what causes psychological abnormalities and how they can be treated; can theories of conformity and obedience explain war; and how eye witness testimony can be affected by cognitive bias in a court of law. Year 2 is designed to build on the knowledge gained in Year 1 and looks in greater depth at real world psychological issues, such as child development, aggression and schizophrenia. At this level students will gain an understanding of how psychologists work in applied settings. Science is very much at the heart of the course and thus requires students to critically consider the methods used by psychologists to study human beings. For this part of the course, students will become an active psychologist with the opportunity to design and test hypotheses. Students who study Psychology tend to enjoy thinking critically, do not accept what they read and are interested in human behaviour. Psychology students will be expected, in the classroom, to engage in debates and discussions and take an active stance in their learning. Furthermore, the majority of the course involves essay writing, therefore students will need to be strong in this area. 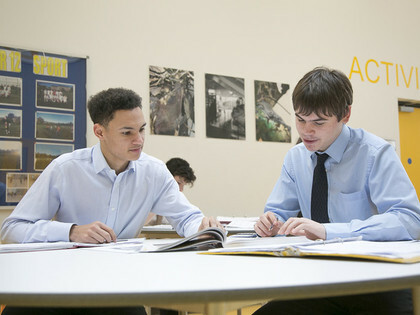 Students will also be entered into the AS examinations at the end of Year 1 to assess their progress on the course. This will comprise of two, 1 hour and 30 minute exams. Psychologists work in areas such as business, clinical and counselling, health, education, sports, academic circles and forensics. In order to achieve many of these one would have to undertake a Psychology degree and specialise thereafter.